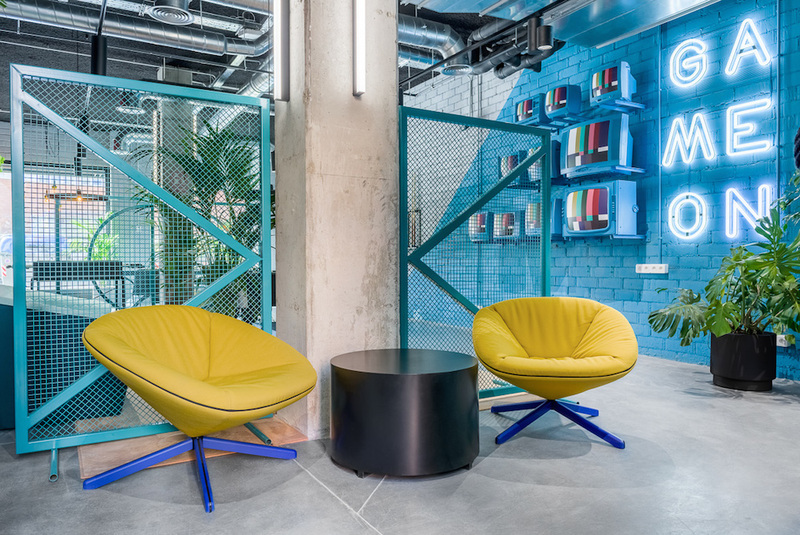 The Student Hotel, a coworking, co-living hybrid made with international students in mind, has opened in Barcelona. The Dutch hotel chain also has locations in Rotterdam, Amsterdam, Paris, Florence, Eindhoven, Maastricht, The Hague and Groningen. 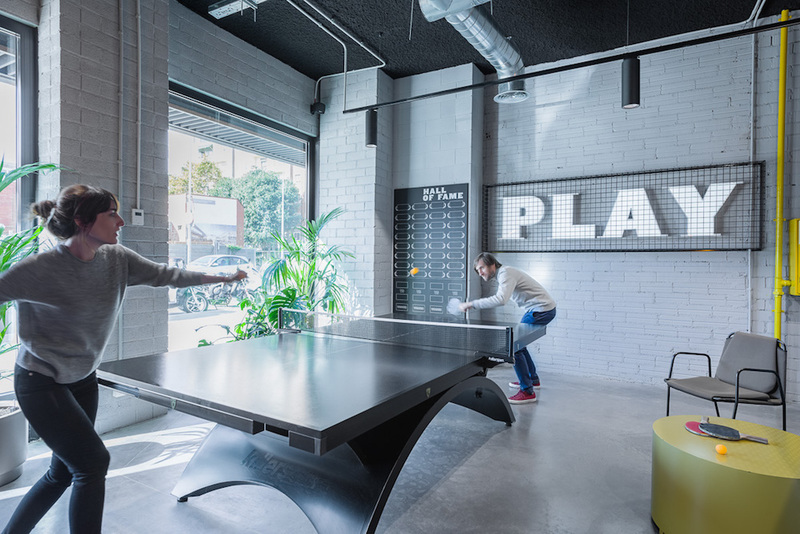 Valencia-based agency Masquespacio was hired to execute the design of the project’s communal spaces for two campuses in the Marina and Poble Sec areas of Barcelona. The Student Hotel offers semester packages based on the academic year, but also allows non-students to book a “short stay” for more than two weeks, or book a room for a night or two just like any other hotel. The hotel has communal spaces, such as quiet study rooms, lounge spaces, gaming zones, swimming pools and seating areas, designed to stimulate and foster a global community. “What we discovered along the way, is this type of atmosphere really inspires all who encounter it. The Student Hotel is a place where anyone with a student spirit—curious, open, free, adventurous—can thrive,” reads the company’s website. In this sense, Masquespacio kept true to the brand, but included local materials and a bold color palette to give guests a taste of the Spanish city’s design history. The chain is quickly expanding with plans to set up shop in Madrid, Berlin, Vienna, Rome, Delft, Dresden and Bologna. According to The Student Hotel, its hybrid accommodations for students and young professionals are becoming the biggest in Europe. They attract students through partnerships with universities and non-profits, and pick their locations based on international student populations.